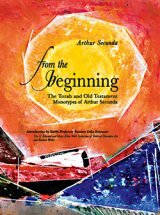 Between 1993 and 2007, Arthur Secunda, an internationally renowned artist, created approximately 140 monotypes illustrating versus of the Torah and Old Testament. Monotypes are original paintings created on a non-absorbent surface which subsequently are transferred to paper in a printing/pressing process. Over 130 of these monotypes have been acquired by the Arthur Secunda Museum at Cleary University, Howell, MI. This is a full-color catalog of the Secunda Biblical narrative monotypes in the Museum collection. This artwork and book has been a collaborative effort of a Jew, Christian, and Muslim. This bibliography is the first comprehensive attempt to identify, organize, evaluate and describe the extensive literature on the Arab community in the United States and Canada -- a particularly timely topic. The author, Michael W. Suleiman, spent twenty-five years compiling this immensely valuable resource. For further information on titles in this series -- or to print this poster -- please see Books :: Library Literacy.